Hi! We're Adecco. Welcome to our YouTube Channel. When we talk about us, we’re really talking about our people—the best staffing and recruiting experts on the planet. 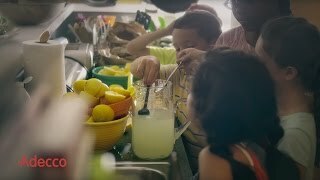 They connect over 88,000 people to great jobs across the country every single day. That makes us one of America’s biggest employers. Our people are also the go-to workforce management partners for a lot of Fortune 500 companies. And thousands of American workers, in almost every industry and profession, rely on them for career advice. When you’re ready to find out what we can do for you, stop by one of our more than 900 career centers in the U.S., or visit adeccousa.com today. Adecco USA President reveals her most important career lessons. President of Adecco USA, Joyce Russell, reveals her most important career lessons in a conversation with Levo CEO and Founder, Caroline Ghosn. Adecco USA channel is new to VideoAmigo. Select from the following topics where Adecco USA is classified. A channel's spider chart is made up of 12 data points. This spider chart demonstrates how Adecco USA performs against each of the 12 data points. The teal line represents Adecco USA, and the black line represents the average performance for the 83 channels in the Executive Search, Job Boards, Staffing Firms topic. Total Views: This channel's Total Views of 334,958 is 33.6% higher than the topic average of 250,715. All activity starts with views. The more there are, the more opportunity there is to grow by engaging viewers. View Growth: This channel's View Growth of 1.92% is 732.85% higher than the topic average of 0.23%. All activity starts with views. The more there are, the more opportunity there is to grow by engaging viewers. 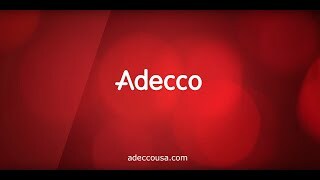 What category is Adecco USA in?